← This is why we hate big business Mr Cameron! Yet another “mistake” by DWP/Atos – they seem to make an awful lot of “mistakes” don’t they? A dad was sent a letter asking him to go on a health check-up for disability benefits – two months after he died. The grieving widow of Stuart Mullins, 53, hit out today after her late husband was asked to undergo the medical tests for Disability Living Allowance. Widow Julia, 54, registered his death on October 15 using the Tell Us Once service – meant to ensure a death is reported to most government organisations at once. But she was outraged to get a letter addressed to her husband from Atos Healthcare to carry out the disability benefits check for the Department of Work and Pensions. 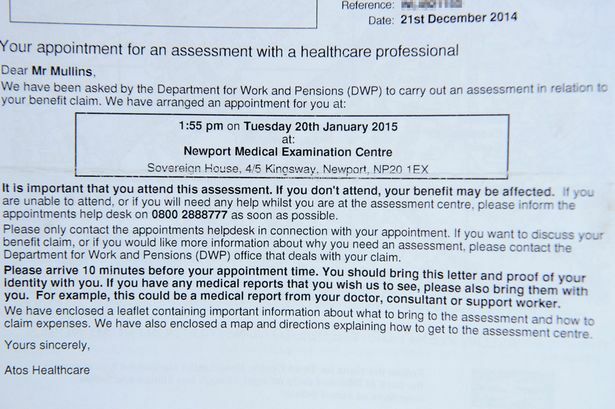 The letter, dated December 21, requested that Stuart attend an assessment for his benefit claim at Newport Medical Examination Centre on January 20. 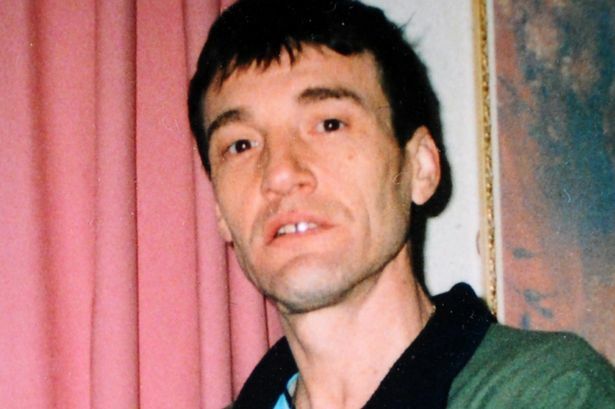 But Stuart, of Newport, South Wales, died from cancer on October 14. Father-of-one Stuart had using a walking stick and wheelchair due to limited mobility in his left leg and ankle. He was claiming Disability Living Allowance for his immobility. Stuart died at his family home in Somerton, Newport, just months after being diagnosed. Atos Healthcare – which provides independent assessments on behalf of the DWP for a range of government benefit schemes – has apologised for the blunder. A spokeswoman for Atos said: “We are sorry for any distress this has caused. A DWP spokeswoman said: “Our thoughts are with the family of Mr Mullins. This entry was posted in atos and tagged Atos, disability, DLA, dwp. Bookmark the permalink. I think a few more of these incidents will happen because ATOS have a massive backlog. He probably applied for ESA over a year ago. Indeed JPM and if you ever make a Freedom of Information request to DWP about Atos they will tell you that the information is “commercially sensitive” and they won’t release it which is ironic really, considering that it’s money from the public purse that funds Atos … makes my blood boil!